Now available in the UK. “Botox-in-a-bottle” Cosmeceutical beauty skin care cream system. Completely chemical and paraben free featuring Stem Cell research and high percentages of active ingredients. 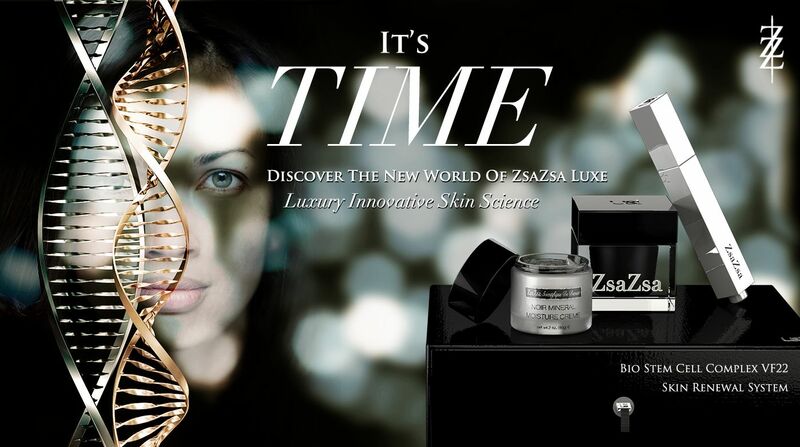 U & I Cosmetics, creators of highly sought-after Luxury Skin Care Products, have launched their ground-breaking new skin cream produt, Zsa Zsa Luxe, in the United Kingdom. All products are manufactured in Arizona, United States of America – widely regarded as one of the world pioneering centres for luxury beauty cream products. Zsa Zsa Luxe is a breakthrough in Skin Science, boasting the highest amount of concentrations of active ingredients only found in a small selection of luxury skin care beauty products. Powerful peptides, innovative plant stem cells and essential amino acids combat all aspects of skin health problems and skin ageing. At least 9 separate products would need to be applied to obtain the effects found in this amazing single crème. These groundbreaking results are backed by scientific clinical trials. Expect to benefit from increased collagen production, significant wrinkle reduction, skin hydration, cell rejuvenation, anti-brown discolorations, repair and renewal. See the difference in as little as 2 weeks. 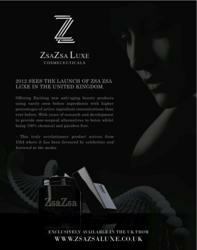 Introductory exclusive offers on Cellular Repair Kits – ideal for gifts – at £199 are available from the Zsa Zsa Luxe range website at http://www.zsazsaluxe.co.uk until Summer 2012. Distribution discussions are taking place with major highly regarded retailers in the United Kingdom. International distribution extends to France, Russia and South Africa. Please contact distribution executive Usman Khushi at usman(at)zsazsaluxe(dot)co(dot)uk for more information of enquiries.